"I myself am made entirely of flaws. 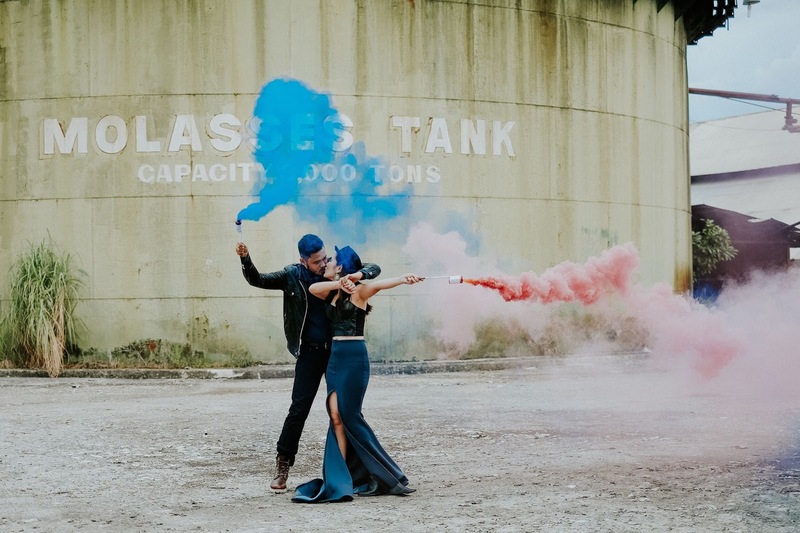 Stitched together with good intentions"
The couple wanted an engagement session that was edgier than most. And their stylist, Geof Lagria was more than thrilled to do just that. 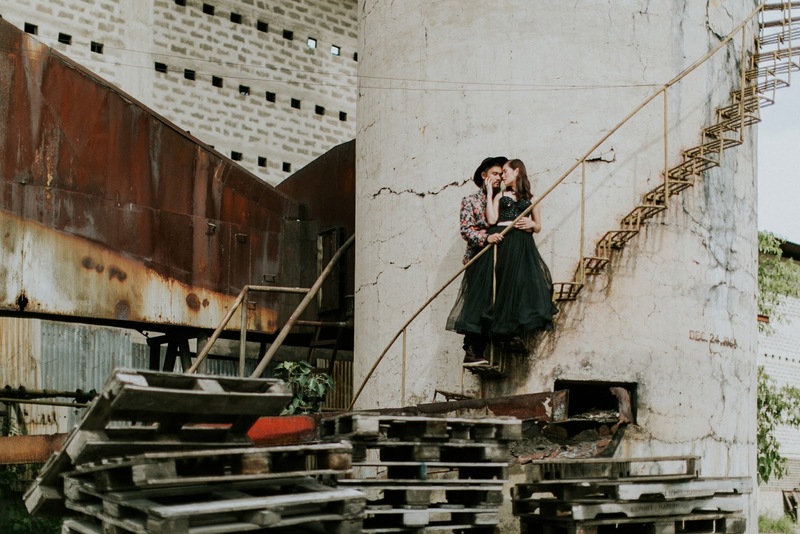 He chose the Durano Sugar Mill in Cebu as a shoot location, ordered a couple of smoke bombs, and handpicked the clothes for the couple. The contrast worked flawlessly and the couple nailed their edgy peg to the hilt. 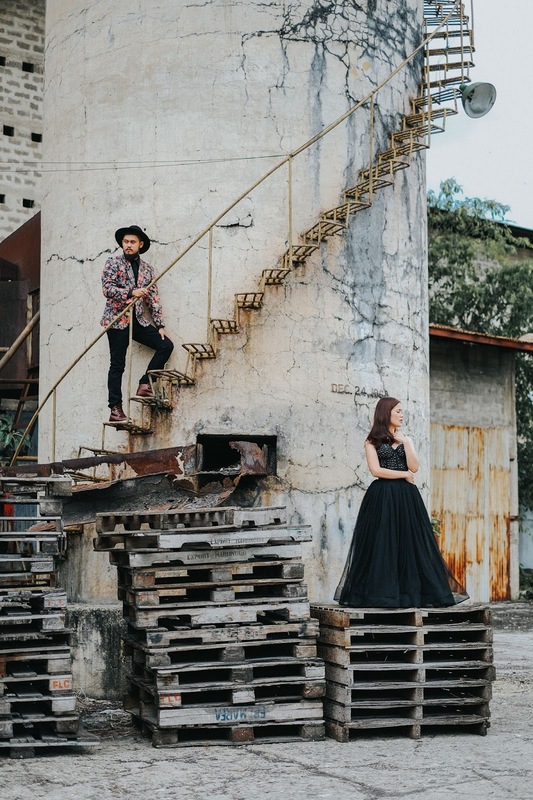 We particularly love the styling for this engagement shoot as it is quite fashionable and on-trend, but without trying too hard. 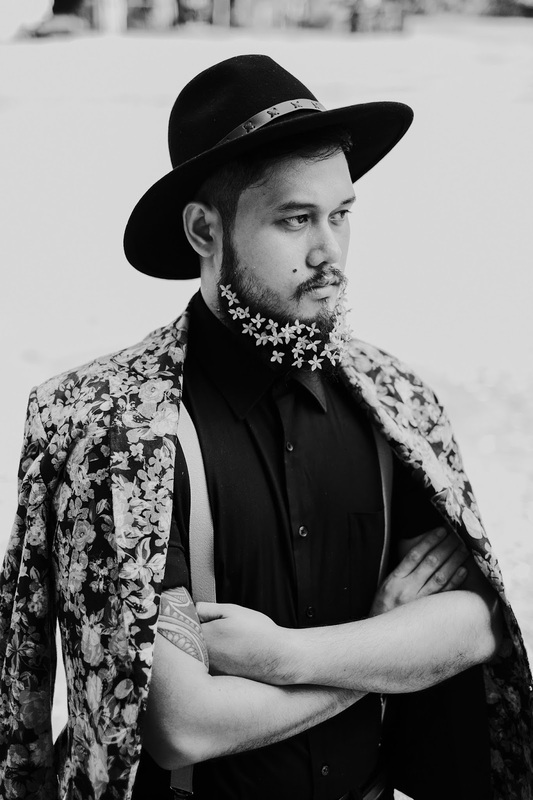 Stylist Geof Lagria shares that his styling philosophy is to always get inspiration from his clients and make them feel empowered. 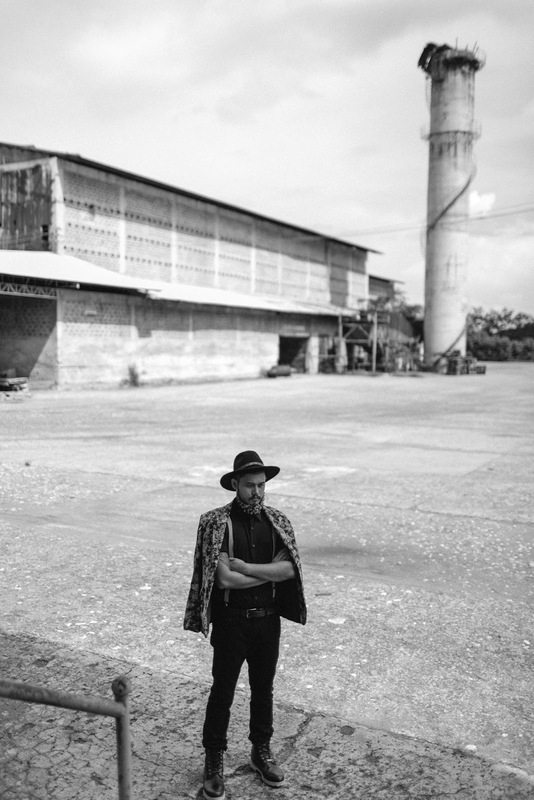 He gravitates towards the edgy but glamorous. 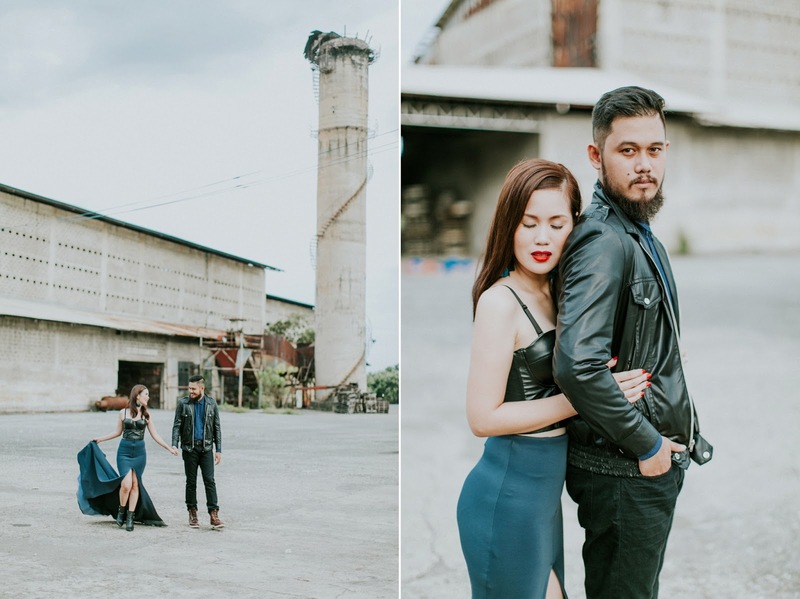 For this particular shoot with couple Ella and Kevin, he wanted them to exude the vibe of rockstars with leather-on-leather ensembles mixed with prints.